Henry Moore (1898–1986) was one of the most significant British artists of his generation. Over 30 works are displayed in these rooms with film, photographs, maquettes and drawings shown alongside large-scale sculptures such as Recumbent Figure 1938, the first of Moore’s artworks to enter Tate’s collection in 1939. 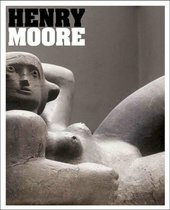 After emerging in the 1920s as a leading avant-garde figure, Henry Moore’s international status was secured in 1948 when he won first prize at the first Venice Biennale since the war. His work was consistently associated with landscape and nature. The forms seen in his sculptures often derive their shapes from natural objects such as stones, bones and sticks that he found in the countryside, and he saw landscape as the best setting for his sculptures. The first room of our Henry Moore display reveals the history of the artist’s relationship with Tate and how the collection of his work was formed. Moore built a close relationship with the Gallery: he served as a Trustee for two terms from 1941–56, and two large-scale retrospective exhibitions of his work were held in 1951 and 1968. The most recent show in 2010 at Tate Britain re-affirmed Moore’s status as one of the leading artists of the twentieth century. Henry Moore’s friends and supporters were pivotal in shaping Tate’s collection of Moore’s work. Moore also donated sets of prints to the gallery in 1976 and his most significant act of generosity was the presentation of 36 sculptures in 1978. Today the Tate collection owns over 600 works ranging in date from 1921 to 1984, and including drawings, prints, and sculptures in wood, stone and metal. The second room of the display looks at a selection of Henry Moore’s large public commissions and gives a fascinating insight into the process he used to make them. In the 1950s and 1960s, Moore worked almost exclusively in plaster to be cast in bronze and around themes of the body, landscape and nature. He became known for his large-scale works that were made for locations as diverse as new housing estates in London, the UNESCO headquarters in Paris, and Dallas City Hall. The major works in this new display, including Reclining Figure 1951, and Draped Seated Figure 1957–8, are exhibited alongside drawings and maquettes, as well as film and photographs of the artist at work in his studio. This display has been devised by curator Jenny Powell with Alice Correia.